Egg free Greek potato salad is a lighter, healthier potato salad. My oldest son returned home from his first year of college last weekend, and I’ve been a little off kilter this entire week. 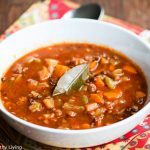 It feels like I’m a day or two behind…perhaps it was the five loads of laundry that he deposited on the floor of our laundry room when he arrived home, or the extra food that I had to take into consideration when shopping and cooking this past week. There was one evening when there wasn’t enough food to go around. I was just as happy eating a salad for dinner, but it has been a bit of an adjustment increasing the quantity of food I make for dinner. My other boys always tease me when their older brother comes home. “Oh, I get it, Ryan’s home, so you’re making all his favorite foods.” Well, there is some truth to that I have to admit. After nine months living on dorm food, I am happy to feed my son as much good food as possible before he returns to college in the fall. In fact, he has come home a more diverse eater – he now likes Thai food, something he wouldn’t touch before he left for college. Apparently, he has not been eating too many vegetables at school (he reports that he has been putting lettuce and tomatoes on his sandwiches and eating bananas daily so I guess that’s better than no vegetables or fruit at all), so I am making sure he gets as many vegetables and fruits into his system this summer as I can. I even tried sneaking some vegetables into his chicken quesadillas at lunch one day, but got called on it. I just laughed it off, and he ate it, so hey, it was worth it. My husband and I are thrilled to have our son home for the summer. So many of his friends are working away from home this summer, so I am thankful that he was able to find a job locally and will be able to spend some time with his siblings. Our family dynamics have shifted once again, and although there will be three drivers in the house sharing one car come June, all four of the boys are together again, playing basketball outside, and back to their old antics. There’s definitely more noise and activity in the house. 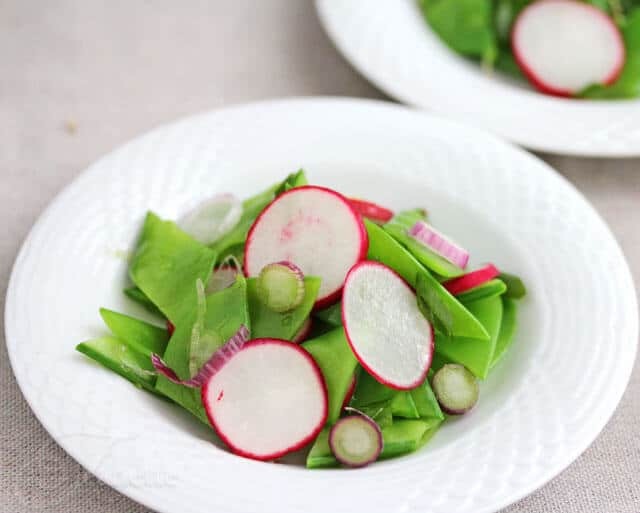 Now that summer is on the horizon, I’ve been thinking about more casual, outdoor entertaining, which often includes a variety of cold salads that can be made ahead of time. For some Spring salad inspiration, here are some salads from last Spring and Summer that I am planning on making again soon. Our local farmer’s market just opened last weekend, and my CSA (“Community Shared Agriculture”) box should be starting in a few weeks, so I will have plenty of farm fresh produce to play with. 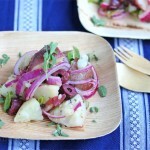 Another American favorite for picnics, barbeques and casual entertaining is potato salad. 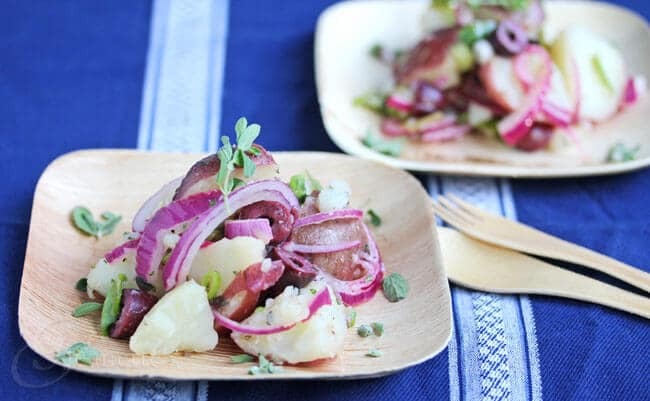 There are so many varieties of potato salad, some savory, some on the sweeter side. I tend to like the more savory types of potato salad that are not laden with mayonnaise. 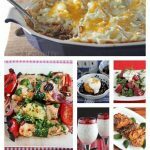 This week, I tried a lighter egg free Greek Potato Salad by Cat Cora with a Mediterranean twist. 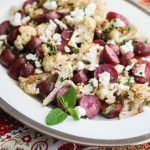 I was drawn to this recipe because it contained no mayonnaise, making it egg-free and picnic-friendly, meaning this potato salad can sit out for a longer period of time than the typical potato salad. On a hot summer day, this is particularly important when entertaining. You don’t want to get anyone sick ;). Today, a group of bloggers is honoring Cat Cora as one of the Top 50 Women Game Changers in Food. I can’t believe we are nearing the end of this list at #48 today. I have been watching Cat Cora on Iron Chef for the last several years and always admired her as the first and only female Iron Chef. Cat Cora is of Greek descent and was born in Jackson, Mississippi, where she grew up in a Greek community. Her cooking style was influenced by some of the great cooks in America – Julia Child, Barbara Tropp, M.F.K. Fisher, as well as her grandmother. Not only did Cat receive Bon Appetit Magazine’s Teacher of the Year Award in 2006, but she was also named executive chef of the magazine in the same year. Cat Cora is also president and founder of Chefs for Humanity, an organization that was founded in response to the 2004 tsunami disaster, and serves as the nutritional spokesperson for UNICEF. 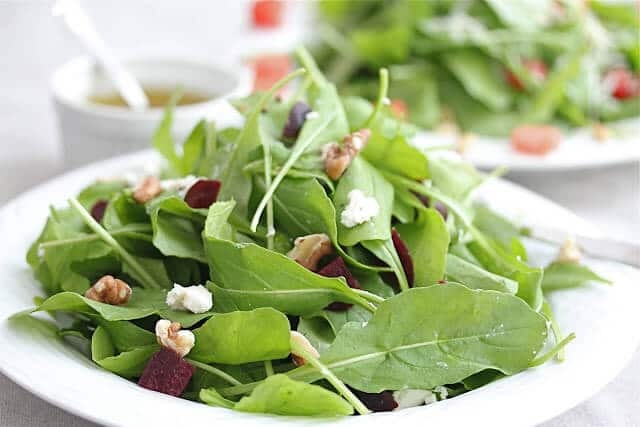 I would love to hear what your favorite healthy Spring and Summer salad ideas are. Adapted from Cat Cora. The original recipe called for fresh dill which I did not have, so I just left it out. Although some people say it is better to cook potatoes whole (so they don't get water-logged), I cut my potatoes into even pieces so they would cook faster, and this potato salad came out just fine. Cut potatoes in half if large; otherwise you can leave them whole. Place potatoes in an 8 quart pot along with enough water to cover and 1 teaspoon of salt. Bring to a boil, then reduce heat to medium and cook until just tender, about 20-30 minutes depending on large the potatoes are. Use a fork or knife to test the potatoes. Potatoes are done when fork pierces potatoes through. Drain well. Cut potatoes into quarters. Reserve. Combine the onions, spring onions, olives, oregano, olive oil, vinegar, and lemon juice in a medium sized salad bowl. Toss potatoes with Dressing. Season to taste with salt and pepper. I have a lot of respect for Cat Cora for the charity work she does, and I do love her recipes. It’s so nice that your group is honoring her as a game changer! Cat’s salad does sound perfect for picnic weather Jeanette. My own daughter is coming this weekend so I can realize part of of the joy you are experiencing with having your son home for the summer! So glad to hear your daughter is coming home this weekend – I know there will come a time when my son will not be coming home for the summer, so I am enjoying every day. Ahh college – the mecca of not eating healthy! Loving the potato salad. 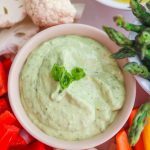 I prefer it without the mayo – and not just for health reasons. This is a beauty. College eating is a challenge. Hoping next year will be better since my son will be living off campus. All of these salads look amazing! I love your potato salad! It is wonderful when your kids return home, no matter how old they are or how long it is for! And my son proved that one can live on ramen noodles for years! The potato salad looks wonderful, as do the rest of your salads, and I am not a potato salad fan! Thanks for your continued support Jill – I really appreciate it! It is so nice to have my son home. I think ramen noodles are a staple in dorm food. Hopefully one day, someone will come out with a healthier option that’s just as easy to make. The potato salad looks good, but I love that roasted corn salad. Did you roast the tomatoes too? I’m still voting for you. Let’s keep you at #1. 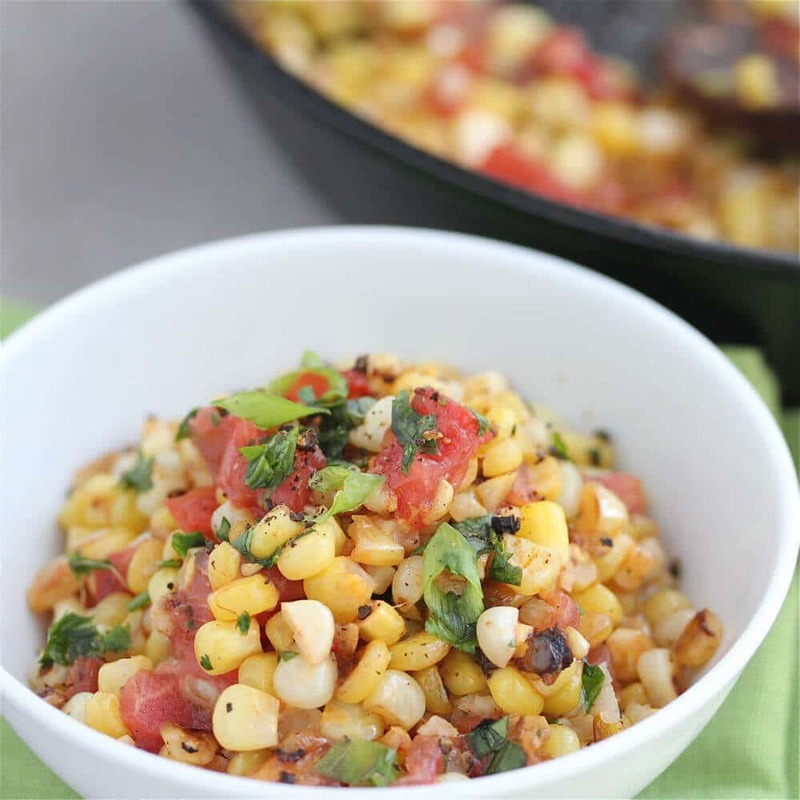 Mireya, I tossed the tomatoes in with the corn towards the end of the sautéing process. Thanks for your continued voting – I’ve been voting for you too – we can support each other! Thanks for your well wishes Alyce. It is really hard planning meals now as my oldest son’s plans seem to be spur of the moment, but I am so enjoying him being home. I know I will miss him dearly when he stops coming home for the summer. Hope you see your daughter soon. Thanks Lexie, I am so happy to have my son home for the summer. We all missed him, especially my youngest son. We’ve been really fortunate – he actually came home six times during the school year so it was really nice. I know that won’t last, so I am treasuring every moment. Enjoy your kids – time flies! Arugula salad and corn salsa are my favourites! A lot of great salad recipes here, Jeanette! I just voted again for you and looks like your in the top spot!! Congrats! Your potato salad looks really delicious! I’m sure it was a hit with your family. Nice post! I love this because it does not have any gloppy mayo. It looks very fresh and flavorful . Thanks for sharing with us. Mmmm! 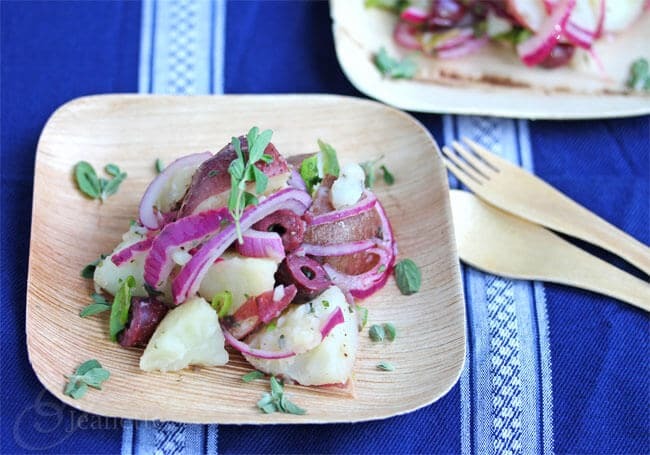 Lighter than the usual mayo-laden potato salad … perfect for summer and a dieter who wants some potato without all the extra calories. Cat Cora is the only Iron Chef I like. And I admire all her work! She’s a wonderful woman and her recipes are delicious! I love the sound of this salad, and I am with you – a always cut my potatoes so they cook faster! Thanks Miranda – I’m usually short on time so I end up cutting my potatoes. Haven’t had a problem yet as long as I drain them really well. Anyone who thinks potato salad is unhealthy needs to look here. Would love this with chives & chive flowers. Thanks Kellie – chive flowers would be really pretty on this salad, thanks for the idea. Oh I remember that bad dorm food. 🙁 Lucky he’s home to enjoy his mom’s fabulous cooking! Thanks Sylvie, I’m so glad to have him back home and love cooking for him – he’s been a bit “deprived” this past school year. Thanks EA – yes, lots of food and tons of laundry! So interesting, I wasn’t sure this was actually a true Greek potato salad, but now that you say you grew up with, sounds like it is truly Greek. 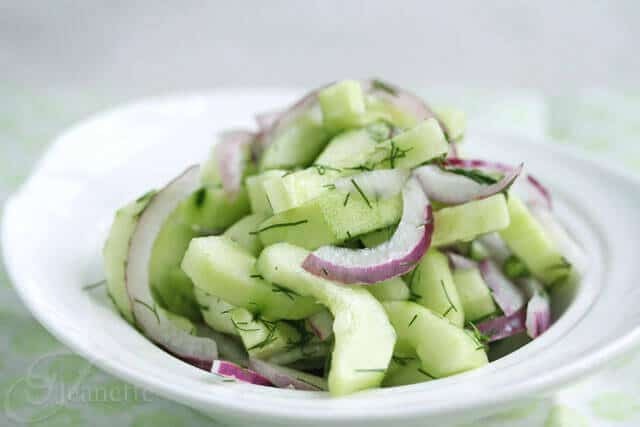 Your Cucumber and Red Onion Salad does not seem to have a hyperlink. 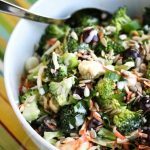 I fondly remember my mom making a version of this salad, and would love to try yours! Hi Jennifer, I don’t have a posted recipe for this salad. 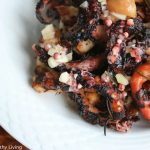 I made it last summer and will have to recreate it – it was simply cucumbers, red onions, rice vinegar and a little organic sugar. I did salt the cucumbers for a little bit to extract some of the liquid before tossing it with the other ingredients. I can always use another good summer salad recipe. Very nice. Thank you for stopping by and linking up Jeanette! 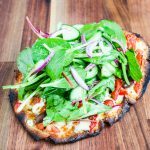 :) Love to see your recipes! Thanks for hosting such a fun event Angie, and thanks for your daily votes – you are sweet. whenever I cook for my family, I’m always a bit afraid that there won’t be enough food…mostly because my brother eats SO MUCH! It’s amazing. All of these summer salads sound delicious! I’ve definitely been in a salad-eating mood lately given all this gorgeous weather! Isn’t it funny how much food guys can eat? There have been more than a few dinners when I am short of food by the time I get to my plate. Of course, I’m just as happy with a salad (that’s what happened again tonight!). I’m with you, with this warm weather we’ve been having, I’ve been eating a salad every night at dinner. 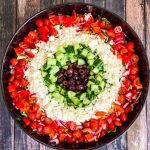 What a fun twist on a classic Greek salad and a fantastic reminder of all the lovely salads you are constantly inspiring us with. Thanks France – I always look forward to warmer weather when all the local fresh produce comes to market. I joined a CSA again this year and can’t wait for it to start. Yum! I love all things salads. And this greek potato salad looks scrumptious. 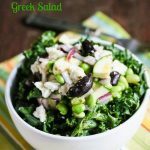 Thank you for posting this Greek potato salad recipe. My daughter was just diagnosed with and egg allergy. 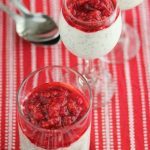 I have been searching for healthy egg free picnic recipes. We will definately make this one! Hi Heather, I know how hard it can be when you have an egg allergy. 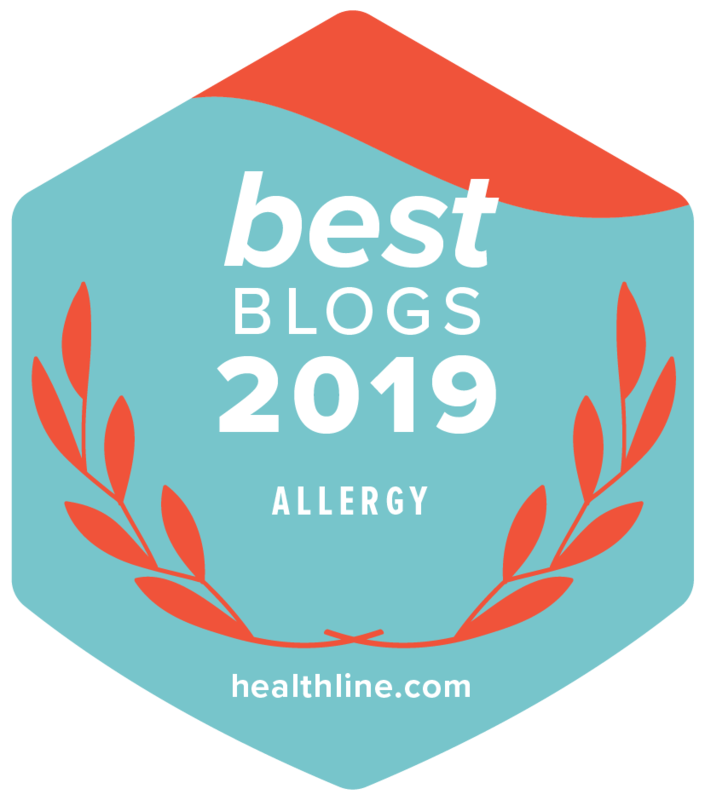 My son has a mild egg allergy, but I took him off of eggs for 6 months last year. Fortunately, there are many ways to substitute for eggs in baking, and there are plenty of healthy recipes such as this potato salad that are just as delicious as those containing eggs.